Xolo has officially unveiled the mid-range Q2000 5.5 inch phablet with a 720p screen. The device runs Android 4.2 Jelly Beans on a 1.2 GHz MediaTek quad-core processor with 1 GB of RAM. There is a 13 megapixel rear camera with LED flash in the back. The camera app features scene detection and tuning, HDR, face recognition, vertical and horizontal panorama. There's 8GB of internal memory that can be expanded up to 32 GB via microSD card slot. Considering the the size the 2600mAh battery might be small but it still offers 17 hours of talk time on 2G and 12 hours on 3G. Xolo's newest offering measures 156 x 77.8 x 9.8 mm and weighs about 180 grams. 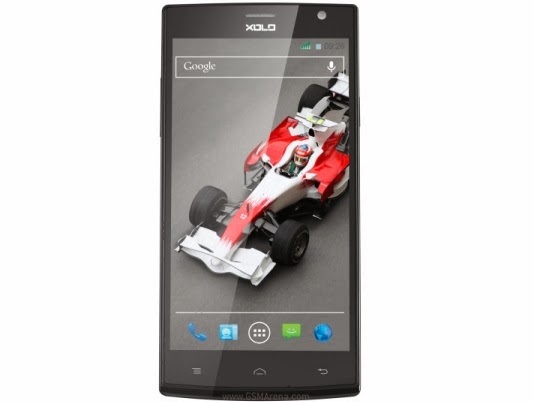 Xolo Q2000 is priced at INR 14,999 (about $240) and is available in Black.